In 2016, recognising in Allan’s photographs an eye for an undercurrent within his subject, we commissioned him to create a new body of work. Challenging him to move away from the landscapes he had previously been capturing, we suggested he strip away preconceived and stereotypical notions of beauty, instead asking him to grapple with his subject, lifting the stone to see what lay beneath. From Neolithic burial chambers and ancient domestic settlements, to grand Victorian villas scattered along our coastline, human beings have always left their mark on the natural environment. Yet these fade through the centuries, nature often reclaiming that space as time marches relentlessly on. Kenny Allan’s photographs stop time. They open a door through which you walk as a viewer, all becoming still around you. 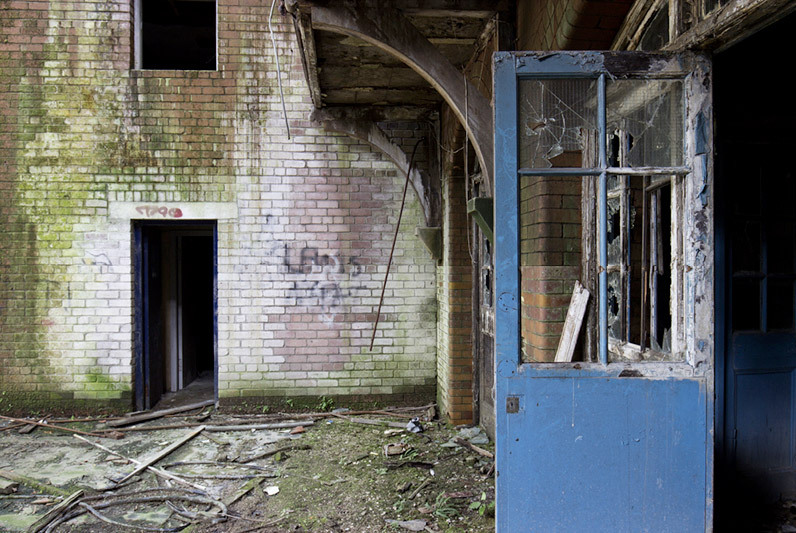 These works allow you to see the beauty which lies within the brutality, decay and dereliction in Scotland. Both intimate and alienating at the same time, the photographs allow you to contemplate the composition and begin to construct your own narrative for the image. Allan visited the locations in this exhibition repeatedly, building relationships with the spaces and immersing himself in their heritage and history. This obsessive process, compulsively searching for the mystical and elusive essence of a space, is reminiscent of artists such as Monet who painted Rouen Cathedral many times, and Rembrandt who captured his likeness time and time again in nearly a hundred self-portraits.